The gloves are off now, as we enter the “last Days”. Fallen angels masquerading as our space brothers. Extreme? You need to read on. Satan has effectively used the Theory of Evolution to dispense with creation and therefore God, but now that his “evolution” deception has been uncovered/exposed by the overwhelming evidence for intelligent design, particularly in biology. The ENCODE project has revealed the complexity of DNA and exposed the lie of “junk DNA”. There is only one source for the complex information on the DNA that enables the cell to function and reproduce itself, and that is an intelligent designer – God. Satan knew this would eventually happen, so for years now, he has been preparing the way for the next major deception. Moreover, he has cleverly targeted the next generation but not only them. They have been bombarded with movies and computer games featuring Aliens. The rest of the population have been captured by reports of UFO’s and alien abductions. Take a look at my August 2008 post, Aliens and UFO’s – What are they really? Satan has been working on this ploy for many years. He would have you believe the source of this intelligent design is of course aliens. Fortunately, God has raised up discerning Christians like Gary Bates and Joe Jordan. Joe Jordan (left) with CMI’s resident UFO authority, Gary Bates. They have on occasion teamed up at Roswell. More about them later, but now in 2017, surveys estimate that more than 80% of Western peoples believe that ET is ‘out there somewhere’ which presumably encapsulates a lot of believers also. But many young people, in particular, have been influenced by science fiction notions of aliens traversing the galaxy in their faster-than-light spaceships and advanced weaponry. Moreover, young people’s belief in extra-terrestrials often goes hand-in-hand with a morbid fear of what aliens will do to them. Renowned celebrity physicist Stephen Hawking is at the forefront of the search for extra-terrestrial life. But he warns against making contact with aliens as he fears they will be two-billion-years ‘more evolved’. But for the younger generation, being schooled in evolution opens them to being vulnerable from multiple angles. As we’ve seen from the comments of Stephen Hawking and others, evolutionary teaching predisposes people to belief in the possible existence of aliens—and the concomitant fears arising from that. More fundamentally, evolutionary schooling lessens the likelihood of someone believing in God, therefore depriving them of the ability to clothe themselves in Christ and the demonstrated protection that affords from demonic visitation. Ideas have consequences. Hawking evolution on to our young people is really doing them an immense disservice, to put it mildly. 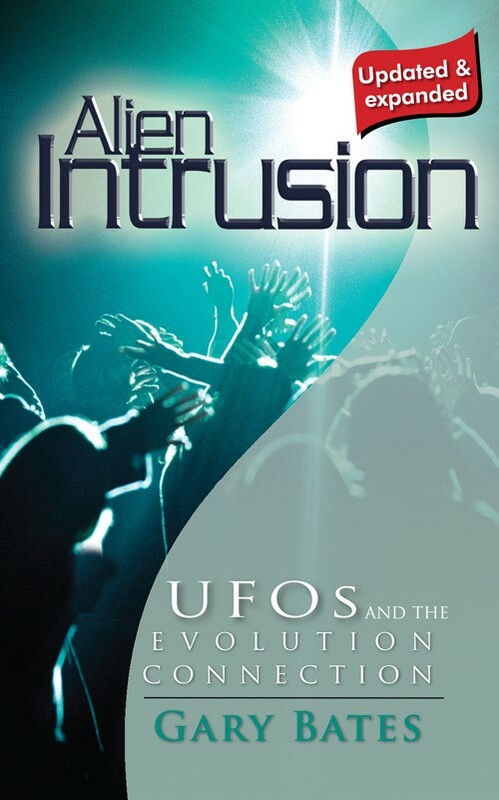 Thankfully, there are abundant creationist resources available on www.creation.com such as Alien Intrusion, to replace in the minds of young people any fear of aliens with the fear of the Lord—“the beginning of wisdom” (Psalm 111:10). Extracted from CMI article: Why is Stephen Hawking afraid of Aliens. 2. Catchpoole, D., and Bates, G.,ET needed evolution, 2016; creation.com/et-evolution. 4. Bates, G., Reaching out at Roswell, 2009; creation.com/roswell-outreach.